Amaze your friends and family! 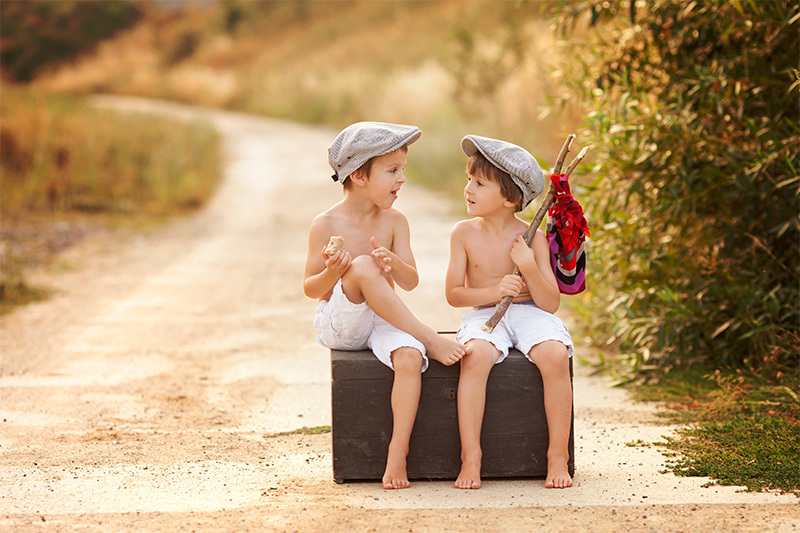 Use everyday household items as props for “wow” photos. One of the things that I have gotten really good at is using every day, household items as props in my photos. Most are usually sitting in my living room or out in the garage, and I’m sure you’ve got great props lying around your home as well. Remember, don’t go overboard! Adding a simple prop to your photo will help enhance it. Don’t use something that will take away or distract your viewer from the subject. 1. Bubbles. 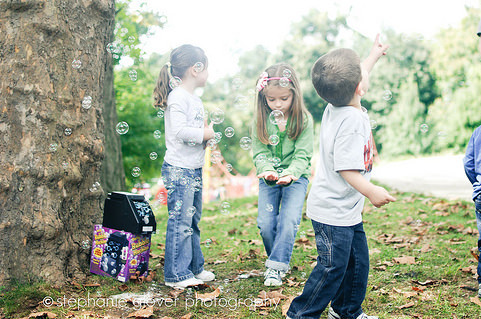 Bubbles not only make a great prop and add a little something to your picture, they also keep your child’s attention! Have Dad stand off-camera and blow bubbles. You’ll be able to capture the pure joy every child is overcome with when they see bubbles. Have a bubble machine? Even better! No one gets light-headed from all the bubble blowing. 2. Baskets. 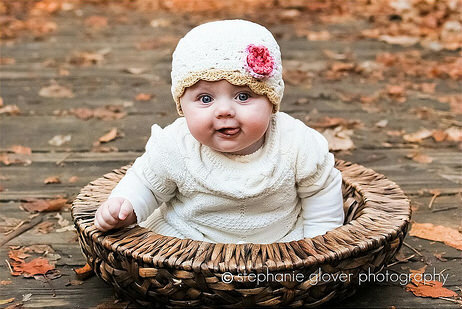 Who doesn’t like a baby in a basket? I know I do! 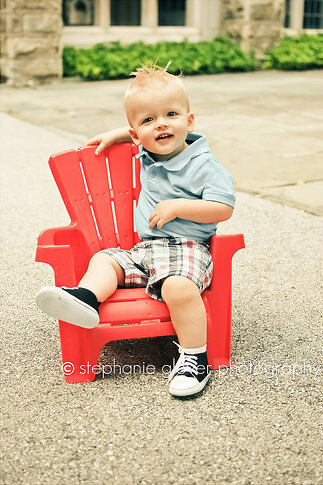 This works well for babies who are learning to sit unassisted. Get that baby off the floor and prop them up in a basket! Baskets work for older kids too. If you have a larger basket, flip it upside down and use it as a stool. If you are shooting outdoors, it will blend into the scenery. 3. Picture Frame. 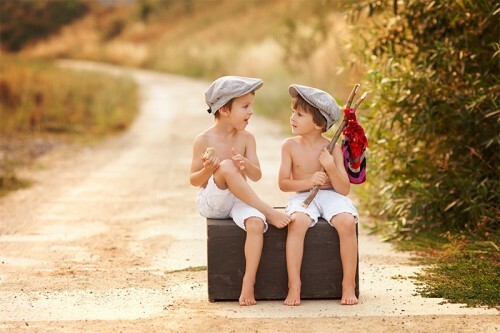 This is a growing trend in photography and I love it! 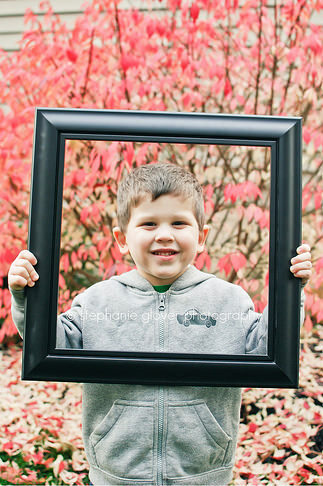 Sure you are framing your picture when you take the shot, but frames add an extra highlight and makes for a great picture. Use a frame 11×14 or larger. Anything smaller and it looks odd in the picture. 4. Balloons. You don’t need a party to throw balloons in the mix. 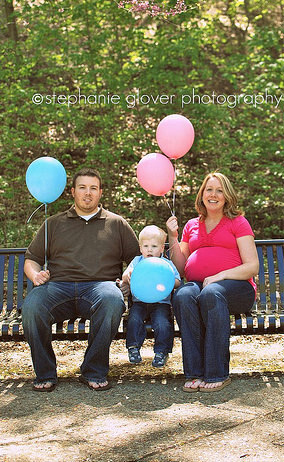 One of my most popular maternity pictures featured balloons. It was the family’s creative way of announcing the gender of the new arrival! Balloons also can help younger children get excited and smile a lot. It can also be a distraction, so make sure you pull out the balloons at a well-timed moment. 5. Chair. So simple, but they can add so much. Bonus if you can get your little one to actually sit and not try to get up! Also, small garden benches work well.